I finally listed this trio of uber cute paintings I did weeks ago in the shop. 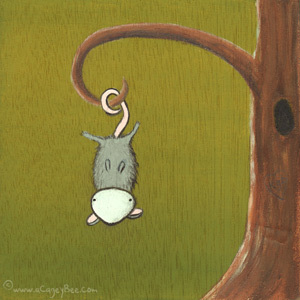 I had so much fun painting these little critters that I was literally grinning & giggling the entire time. 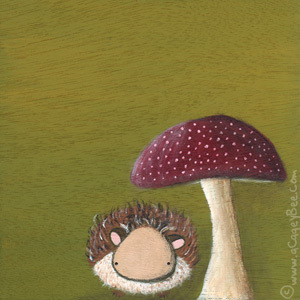 They’re a lot like the squirrel painting I did a while back, Henry and his Mushroom. It’s quite a departure from my usual style, but so so much fun to paint. Each painting is 6″ X 6″ on 1.5″ thick beechwood blocks so they’ve got a nice weight to them – light enough to hang on the wall, but sturdy enough that they can sit freely on a shelf or bookcase.